Capturing the final touch point in travel decision-making. In the age of digital marketing, it’s easy for tourism marketers to go straight to consumers. We can find out what they’re buying and watching and hit them with some sequential messaging and cross-device targeting. But for consumers who are taking their travel intentions to the next level by inquiring with a tour operator or booking with a travel agent, there’s a whole new playing field. It’s the final touch point before the travel decision is made. It’s more difficult to penetrate than simply buying into an ad exchange, but engaging with the travel trade allows tourism marketers to ensure their product is easily and readily available, well-represented and top of mind. One of our most successful integrated trade marketing campaigns was a simple but effective incentive program with our long-standing client Tourism Northern Territory dubbed the “Great Outback Payback.” More than a catchy campaign name, it was a trade marketing initiative that resulted in an $800,000 economic impact to the Northern Territory’s economy. If someone said you could invest $100 and get back $1,500 by the end of the year, would you? We pitched an idea to Tourism Northern Territory to implement a limited-time travel agent incentive program. The idea was straightforward: Agents that booked their clients four nights to the Northern Territory would receive a $100 gift card. The ROI was clear, as we know the average U.S. traveler brings an estimated $1,500 into the territory’s economy. With Australia being a long-haul destination, travel agents and tour operators continue to make up the majority of the distribution channels. Through our ongoing trade partnerships, we were familiar with our partners’ challenges in selling both Australia and specifically the NT. On average, U.S. travelers have about two weeks to experience “all” of Australia. It’s an impossible feat. Sometimes, Australia intenders will even try to squeeze in travel to additional South Pacific countries in that short time frame as well. This means travelers are only looking at about two to three Australia destinations for their bucket-list trip. While the NT offers truly unique and contrasting experiences, it’s not an international gateway for North American travelers, and most travelers only know about Uluru (Ayers Rock). 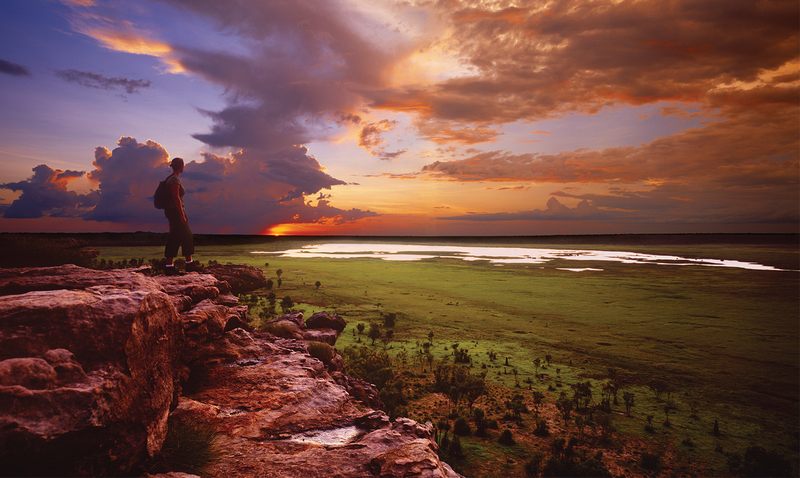 As a result, travelers spend on average two nights in the NT if they get there at all. With the goal of increasing visitation and average length of stay, we asked the trade to join us in “The Great Outback Payback” travel agent incentive program. The idea was to incentivize the agents to educate their clients that the NT is a must in any Australia vacation and share with them why they need at least four nights to really experience it. We secured five wholesale partners, each of which provided their own in-kind marketing plan to push this message out to their agents. We then conjured up a larger campaign plan utilizing B2B digital advertising, travel agent consortium partnerships and a campaign landing page (northernterritory.com/outbackpayback) to promote the limited- time incentive. Since we had been tasked with turbo-charging tourism funds, tracking the ROI was critical. The campaign was a success, with a 5 to 1 ROI driving incremental passengers to the NT in a short period of time and increasing the average length of stay by 113 percent. Leaning on our wholesale partners to prove our success through actual conversions, we were able to report back the eligible bookings and qualifying agents, giving us our grand total of 538 incremental passengers to the NT at an average length of stay of 4.26 nights. This campaign allowed us to directly engage with and support our biggest allies: our trade partners. Through our trade partners we were able to access a targeted pool of consumers who were at the lowest point of the funnel – deciding where in Australia they were going to go and for how long – to conquest incremental visitation to the Northern Territory. The wholesalers’ bottom line increased by attracting agents with the incentive, and the agents were rewarded with the gift card – a win-win-win for all. And while the age-old sales tactic of incentives may not be the new marketing fad, the results speak for themselves.